The Tulip: The Story of a Flower that has Made Men Mad – By Anna Pavord, 1999. The allure of the tulip is well known. One of the earliest and the most impressive of the Spring bulbs, tulips have been planted the world over in home gardens, palaces, and magnificent public parks. Tulips are beloved for their varied colors, intricate designs, wonderful smell, and long-lasting blooms as cut flowers. 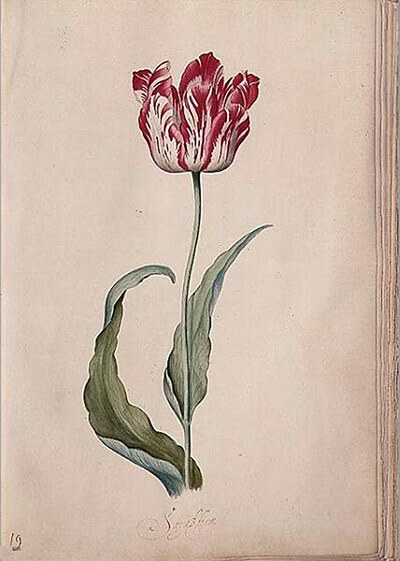 However, outside of vague knowledge of “Tulipmania“, few are knowledgeable about the flower’s fascinating and complicated history as an object of obsessive human desire. The Tulip: The Story of a Flower that has Made Men Mad by Anna Pavord, a gardening writer for the UK newspaper The Independent, is an excellent and accessible history of this most prized of flowers. While the book is a history and contains little gardening advice, even the most experienced gardener is sure to find new ideas and appreciation for the tulips they long to see every Spring. Though the tulip has became heavily associated with The Netherlands, it originated in the dry regions of the eastern Mediterranean, Anatolia, and central Asia. To thrive, wild tulips need the cold winters and dry summer provided by these regions. There are still wild ancestors scattered throughout the region, but many of them are in retreat, and are less showy than their cultivated descendants. 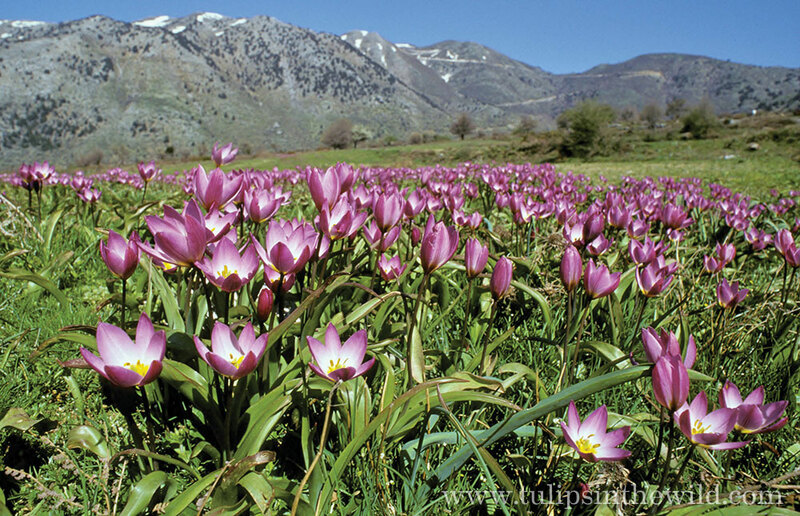 The author’s first encounter with a wild tulip was on the Greek island of Crete, where she found the Tulipa Bakeri growing in an abandoned olive grove. At this moment she felt as entranced by the tulip as anyone. As the author points out, this is not an aberration: humans love tulips. “Tulipa Bakeri” in the wild. Pavord closely details how the tulip was brought in from the wild. To put it simply: the Ottoman Sultans got tulip fever. Starting with Sultan Mehmed II in the late 15th century, the Sultans planted vast tulip gardens. As the empire expanded, new kinds of tulips were brought back to Istanbul and fueled the fervor for this beautiful flower. This reached it’s peak under the famed Ottoman leader Suleyman the Magnificent. Suleyman greatly expanded the empire and displayed power by building fabulous palaces and gardens- filled with tulips- all over the empire. The tulip fever of the Ottoman royal family may have reached its peak with Sultan Selim II, who once ordered 50,000 tulip bulbs from Syria and 300,000 from Ukraine. This massive undertaking of wild flower harvesting ensured that the plant would remain in domestication and have the ability to cross-breed. By this point tulips had became a major part of Ottoman culture. The flowers were frequently seen on pottery, frescoes, embroidery, and many other forms of art. Tulips were also prized by private gardeners, leading to the development rudimentary tulip markets and speculation. Much like in Europe after it, the Ottomans decided these practices were dangerous and sought to stabilize markets and implement price controls. Tulips became a widespread obsession when they were introduced as an exotic flower in Europe. For a botanist with an interest in the flower industry, this is the strongest part of the book. Pavord shows example after example of men and women seduced by this wonderful flower. At the time, Europe was undergoing rapid economic expansion with a drastic increase in global trade. This led to many new fortunes and new products. And of course, the newly rich wanted the newest, rarest products as a status symbol. This included flowers. 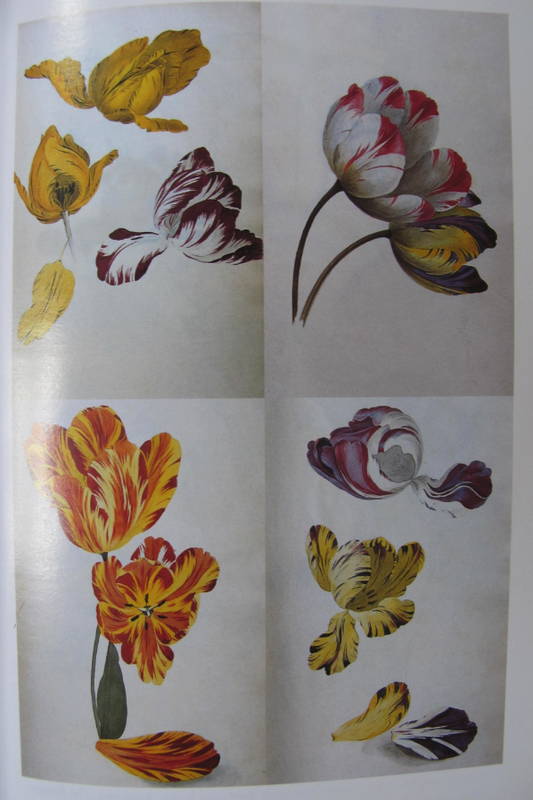 Not only was the tulip prized, but other flowers like hyacinths and anemones became objects of obsession and speculation. Markets rose and fell, not just in the Netherlands, but also in France and other Western European countries. Most prized of all were the rare tulips. 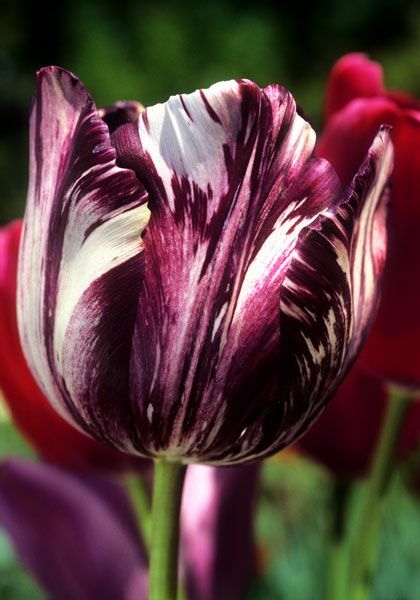 There was not yet an understanding of the mysterious process that would cause a tulip to “break”, or develop intricate multi-colored patterns. Tulips could be bred to be multi-colored, but not in the same way. Further, broken tulips are hesitant to reproduce and often weaken with age. This creates a major limiting factor in supply. Fancy broken tulips became valuable to the point that it was cheaper to commission a portrait of a tulip from one of the finest painters in the country than it was to buy the tulip itself. At the peak of tulipmania, the famed Semper Augustus tulip became so valuable it was briefly worth as much as a three story house in a nice neighborhood in Amsterdam. The flowers became such a status symbol that the wealthiest women would go out wearing bundles of rare tulips- a perishable decoration sometimes worth more than their fine jewelry. Tulipmania thrived in an opulent time of unprecedented prosperity, brought about by free trade. The problem was ultimately no one was willing to pay that much to have the tulips themselves. This is what the public misunderstands about tulipmania, thinking people were willing to pay that much to enjoy a tulip like we do today. The tulip markets became a speculative bubble brought about by increased access to credit and the advent of complicated financial markets. The tulip market collapsed when it became clear no one actually wanted tulips that much. Even after tulipmania tulips were a valuable commodity, and rare broken tulips maintained high values. At best, around 1% of tulips will break in a year- if exposed to the virus. Many men devoted their lives to breeding new tulips- a timely process as they take seven years to develop from seed. While there were many fine English breeders, producing what are known as English Florists’ Tulips, it was the Netherlands that would develop dominance in the bulb industry. People imagine that the Netherlands is an ideal tulip climate because of the strong association of tulips with The Netherlands. This is not true, as the Netherlands does not have the heat or dryness that tulips crave. However, the industrious Dutch meticulously expanded the tulip trade and carefully dug bulbs every year so they do not experience summer moisture. [Interestingly, the only reason Skagit Valley in Washington took off as a tulip growing reason is because the Dutch already knew how to grow tulips in that similar climate.] The Dutch did, however, have one unknown advantage in terms of breaking tulips. The Dutch grew many peach trees near their tulips, and it would be discovered in the early 20th century that peach aphids spread the Tulip Breaking Virus. So far I have purchased only one broken tulip bulb, an “Insulinde” from Old House Gardens. I can’t wait to see it in the Spring! For my other book reviews check out my books page.